PUSONICS is a Spin-off company of the Power Ultrasonics Group (ITEFI), Spanish Higher Council for Scientific Research (CSIC) created for transferring to industry and R&D organisms the new Power Ultrasonic technologies for applications in gaseous, liquid and solid media. Our core business is the Design of novel ultrasonic technology and the customization of ultrasonic solutions. Exclusive supplier of the Airborne Ultrasonic System (AUS), an high power ultrasonic generator capable of efficiently transmit highly focused or coherent acoustic waves in fluids (gases and liquids) and multiphase media. Development of custom-based ultrasonic system solutions according to client requirements via conceptual design, finite element modeling, and system prototyping. Consulting Services in High Power Ultrasonic technology, specifically in relation to the design of high power transducers, sonotrodes, and tuned assemblies for industrial applications. Design, development and manufacture of competitive high-tech ultrasonic devices and components according to the OEM market needs. PUSONICS collaborates with Research Institutions, Universities and Industries around the World towards the design of novel devices for efficient application of highly focused ultrasound energy in gas, liquid, solid, and multiphasic media. Our objective is to reinforce the role of Power Ultrasonics in industry as a sustainable and versatile tool to carry out or assisting numerous processes. Atomization applied to water treatments, and food and pharmaceutical spray drying processes. Particle size reduction in preparation of paints. 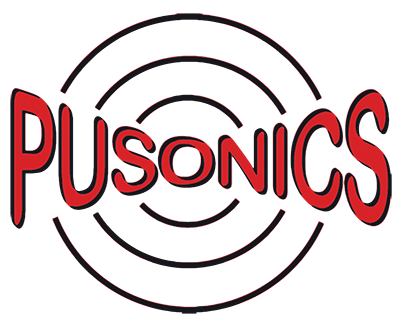 PUSONICS clients are industries and research laboratories interested in applying or investigating the multiple beneficial effects of ultrasonic energy at lab, pilot plant, and full scale levels.